Once positioned on the plate edge, the plate bevelling machine travels along the plate automatically, without any intervention by the operator. 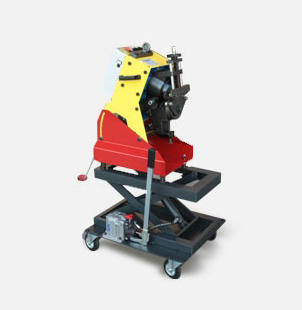 Plate bevelling machine GBC CHALLENGE 12, with compact design to meet high portability demand all around working area. GBC plate bevelling machine CHALLENGE 15 is suitable for large plates as well as small strips. Highlight of the CHALLENGE 15 is the variable head: this allows the bevel angle to be changed in few minutes without any additional accessory. Two rotation speeds available, selection is according to plate material.